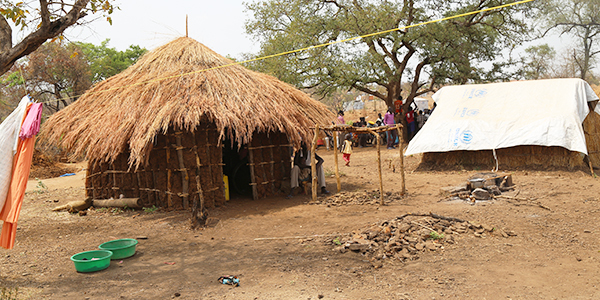 In the crowded Bidi Bidi refugee camp, thousands of makeshift huts stretch across the once isolated bushland in northern Uganda. These grass-thatched houses are now home to nearly 300,000 South Sudanese families who have escaped violence from a raging civil war. Noeleen is a lay missionary who helps suffering families and children with medical and food assistance. Every day she visits the camp and treats the most vulnerable for various illnesses such as Malaria, HIV, and ulcers. During my recent visit, Noeleen walked me through the grounds and expressed her worries as more refugees continue to overcrowd the camp. 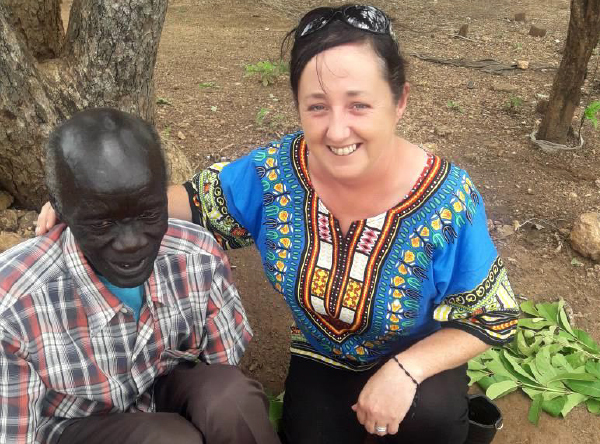 Without regular funding, Noeleen struggles to help those on what little she has and worries her worst fear will soon come true—she will no longer have the resources and support to save more lives—like Peter. Peter is a 6 year old boy who was brought to Noeleen after being diagnosed with sickle cell anemia. There was no blood available in the camp for a transfusion, adding urgency to the challenge of getting the little boy the healthcare he desperately needed. Even though Noeleen’s selfless commitment gave this little boy a second chance at life, not everyone is as lucky. These vulnerable people are constantly threatened by rapidly-spreading diseases, malnutrition and limited healthcare. But your gifts can make a difference. For just $1 a week, you can provide a week’s worth of medicine and food aid to a refugee in need. Please act now and provide hope in a very desperate situation. In spite of the grim conditions, Noeleen is steadfast in her commitment to staying at the camp. But the only way she can continue her lifesaving work is through your immediate support. Please give a generous gift and help us send a constant and reliable supply of critical medicines and other emergency assistance to Bidi Bidi. These scared and poor families don’t know when, or if, they will be able to return home. Until then, they will continue to settle into Bidi Bidi as they seek a better and safer place to live. P.S. 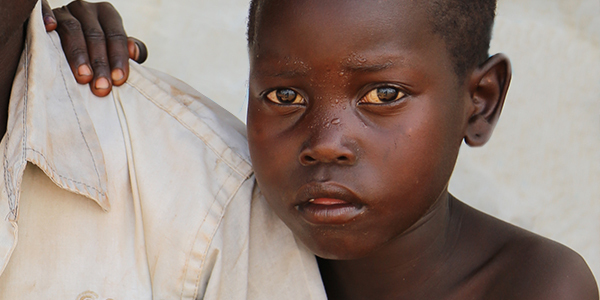 For just $1, you can help save lives and provide a week’s worth of medicines and food aid to the people in the Bidi Bidi refugee camp. Every single dollar makes a difference during an emergency.